We love Autumn! As the leaves turn golden brown the sun sets earlier, which means cosy evenings around the campfire taking in the stunning night skies don't have to be a late night affair. The countryside provides an abundance of fruit, nuts and fungi through Autumn, making foraging a great way to spend the day - there's nothing more satisfying that enjoying food that you've picked yourself. As well as Sloes, Blackberries, Chestnuts and Hazelnuts, you can find some wonderful Giant Puffballs in the hedgerows and fields if you look carefully. Common in the Northern Hemisphere, Indian summers are periods of unseasonably warm, dry weather that appear in the autumn - which have become more common in recent years. There's something particularly special about those extra days of warmth as the memories of summer wane and winter looms ahead! 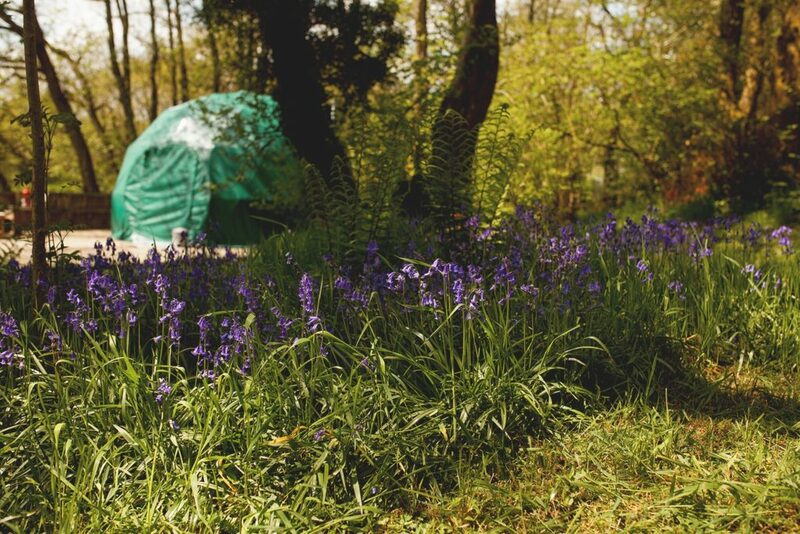 We're called Cosy Under Canvas for a reason! All of our domes are equipped with wood-fired stoves as well as blankets, sheepskins and throws - plenty to keep you toasty and warm. Each dome also has its own campfire - so grab one of the cosy blankets provided and snuggle up in the evening with a cup of warming mulled cider as the sun sets. In autumn, the Wye Valley comes alive with spectacular colour, as its beautiful landscapes turn shades of orange and gold. Explore the rich colours of the wooded ravines, limestone gorges and rugged moorland slopes that make up the Wye Valley, or just snuggle up in a nearby pub and take in the views! At Cosy, and around the Brecon Beacons, the area has been designated a â€˜Dark Sky Reserveâ€™, with the skies protected from the light pollution from towns and cities. With its earlier evenings, Autumn is the perfect time to take in the night sky as you enjoy supper around the campfire. There are plenty of amazing walks nearby whatever your ability and appetite - stride a section of the Offa's Dyke Path that runs along the Wales/England border or pick up part of the stunning 136 mile Wye Valley Walk that runs the length of the River Wye. If you'd prefer to take in the scenery on two wheels than two legs, we've got a selection of bikes available for hire and can provide routes and maps whatever your ability.